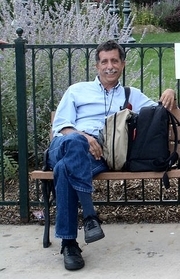 Richard Schweid is a Nashville-born author, currently living in Barcelona. He is a journalist, and documentary reporter. He was a co-founder of Barcelona Metropolitan, a monthly city magazine in English, and he was Senior Editor for fourteen years. He was also production manager of the Oscar-nominated documentary Balseros. Richard Schweid is currently considered a "single author." If one or more works are by a distinct, homonymous authors, go ahead and split the author. Richard Schweid is composed of 2 names. You can examine and separate out names.